Ceramic tile 2.0. Kitchens have sported ceramic tile for a long time, but new designs have hit the market that are putting those old, square, white tiles deep into the history books. Hardwood floors have been a popular choice for a while now, but one popular trend is to lay ceramic tile that looks like hardwood but is much easier to install and maintain. These tiles can come in a variety of colors and styles while offering you a classic look with a brand-new twist. The rise of the Dark Arts. Time was when white kitchen cabinets and appliances ruled. Now, more and more homeowners are trying dark coats of paint or stain on their cabinets as a way to liven things up. 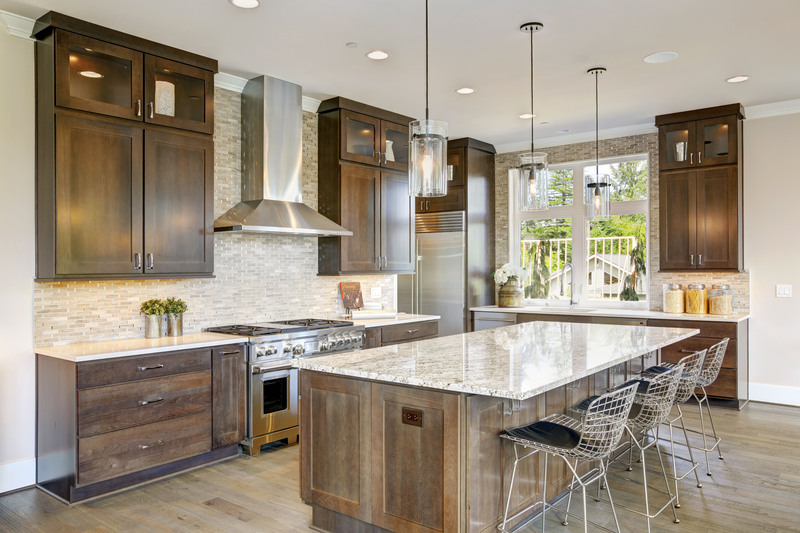 Blacks, browns and even dark plum colors are making their way into new kitchens, and people are noticing how sharp they can look when offset with a lighter countertop. Following these fads may not be for everyone, but try one on for size and see if it doesn’t make your kitchen the kind of inviting space everyone is eager to spend time in!